LONDON -- French supplier Valeo set higher midterm sales and profit targets on Tuesday - seeking to reassure investors that they need not wait too long for returns on its investments in hybrid, electric and self-driving cars. The company, which has also recently made acquisitions in a number of areas including LED lighting and fuel-efficient automatic gearbox parts, pledged to lift sales to 27 billion euros ($29 billion) in 2021 from 16.5 billion euros last year. The maker of self-driving and self-parking systems, low-emission hybrid technologies and vehicle lighting will meet the new goals "by leveraging the growth opportunities in the automotive industry for electrification, autonomous and connected vehicles," CEO Jacques Aschenbroich said before presenting his new strategy to analysts in London. Management also aims to increase its operating profit margin from last year's 8.1 percent to 8.5 percent of sales in 2019 and about 9 percent in 2021. It had previously targeted 20 billion euros in sales and an 8-9 percent margin for 2020. Valeo's shares have doubled in two years and are up 46 percent over the past 12 months, while the Stoxx Europe 600 Automobiles and Parts sector index has risen 24 percent, leaving some investors wondering how much more growth to expect. The share price has lost some ground since Feb. 16, when the company published full-year results, even though they largely beat market estimates. "We disagree with the market's 'sell the news' disappointment and think there is more upside and compounded growth to come," Evercore ISI analyst Chris McNally said at the time, predicting that close attention would be paid to the midterm plan. The group is also accelerating its growth in Asia, where it said on Tuesday it expects to generate 37 percent of its sales to carmakers by 2021, compared with 27 percent last year. 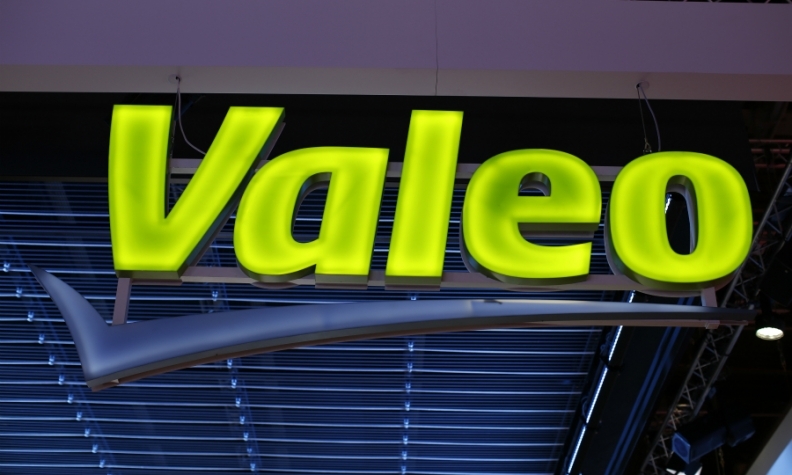 Valeo also said it aimed to generate 3.7 billion euros in free cash flow in the 2017-2021 period, nearly double the 2 billion recorded from 2012-2016. Valeo ranks No.11 on the Automotive News Europe list of the top 100 global suppliers with worldwide original-equipment automotive parts sales of $16 billion in 2015.